Here’s another delicious recipe from our very own @femmebilliejean! 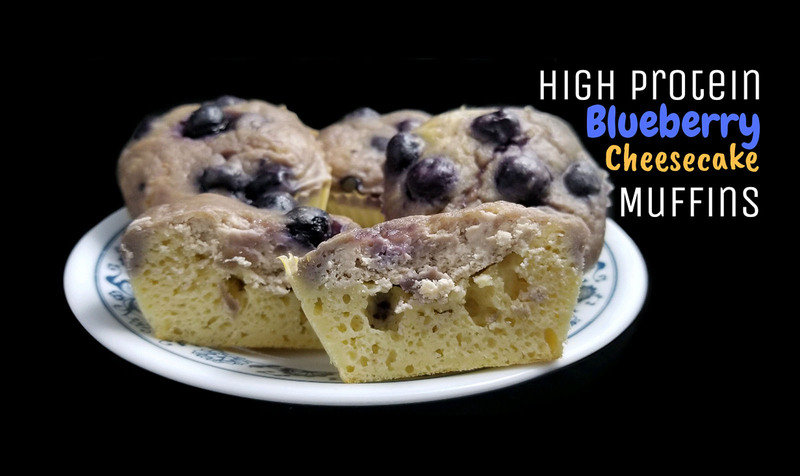 These high-in-protein muffins are perfect in the morning for breakfast, or even as a sweet treat at the end of your day! 1. Preheat an oven to 350F and place 11 silicone muffin cups on a baking sheet. 2. Mix the muffin ingredients, except blueberries, together in a large bowl. Set aside. 3. Microwave the cream cheese for 60 seconds before stirring in the Greek yogurt and protein powder. 5. Add 1 tablespoon of the muffin mixture to each of the baking cups. 6. Spoon about a tablespoon of the cream cheese mixture on top of the muffin layer. 7. Mix blueberries into remaining muffin mixture and fold together. 8. Spoon the remaining muffin mixture on top of the cream cheese layer. 9. Bake for 20-22 minutes or until the tops are golden brown.